The possibilities are endless when government employees are empowered to seek new and innovative ways to provide better and more timely services to citizens and businesses, and all the while make their job better. And with simple techniques, it is possible to make innovation happen without new staff or resources. Guided by C!A’s team of innovation leaders and using a highly effective innovation model designed specifically for government agencies, government leaders from all levels of government and their teams, are letting their innovators run wild. They are embracing innovative thinking and supporting their employees to be problem solvers to find solutions that result in better service to residents, and make their jobs better. Do you want to achieve results that will impact lives for citizens by improving wait times, simplifying processes, and increasing staff engagement? Proud to have trained innovators across the country! Join our growing list of cities! At C!A, we are pushing to find a better way for government to do more good. Unleashing an untapped asset, like employees, enables governments to solve problems that plague every department. 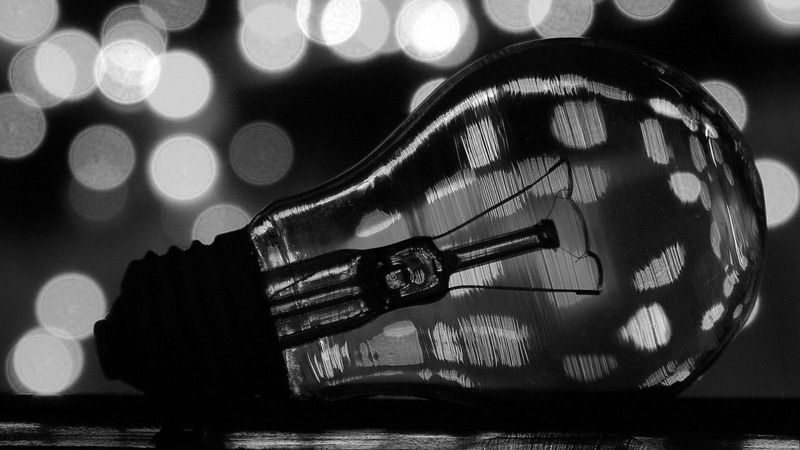 Creating a highly trained group of innovators can transform the way you provide services. Peak Performance changed the game for us at the City of Miami. It made concepts like innovation and strategy far more accessible, allowing us to tap into our workforces’ creativity, collaborative capacity, and overall desire to do better. The book grounded our program by defining a line of sight from problem definition to measurable, implemented solutions. 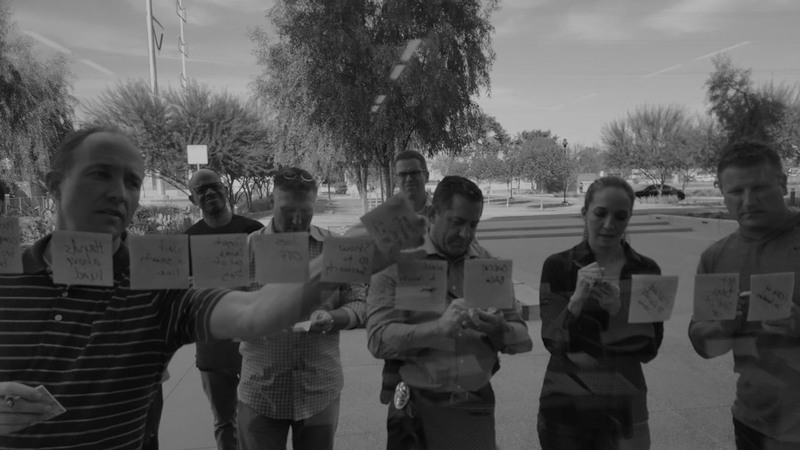 Every time we teach something from the Peak Performance playbook, we see the light bulbs go off and enjoy our colleagues being reinvigorated in their work. Brian Elms is a treat to work with. He presented to Results for America’s Local Government Fellows in January 2018 and received high marks across the board from all of our participants. Brian engaged our group of very busy policymakers and taught them tools and strategies that they can use immediately to improve their government’s work. Thank you. Brian Elms is an exceptional presenter. He delivers hilariously while getting to the core of challenges in government. But unlike most speakers, Brian’s not trying to fix us. He’s reminding us that we have what it takes to fix ourselves and empowering us with the steps to do it. Whether you need inspiration to change, direction on where to start, or help to do it – Brian’s talk will propel your team forward. While undertaking a new initiative – especially the idea of introducing innovative thinking in government – can be overwhelming, the beauty about our Innovation in Government model is that you can start small. Fundamentally, it’s the hundreds of small changes that will have the lasting impact. But, as a leader, how do you create a culture that encourages government employees to embrace innovative thinking and ensure its long-term sustainability? We understand the concerns and challenges of shaking up the status quo, as many of our team members are former government employees. 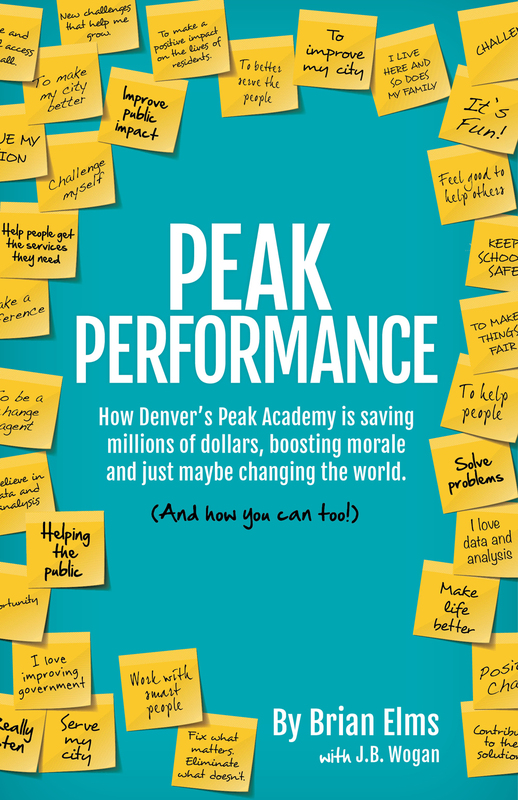 And Brian Elms, leader of C!A’s Innovation in Government Practice, author of Peak Performance and former director of the Denver Peak Academy — will be with you every step of the way. Brian Elms leads the Innovation in Government Practice for C!A. He is working with multiple governments to launch meaningful and sustainable innovation programs that improve the lives of citizens and government employees. 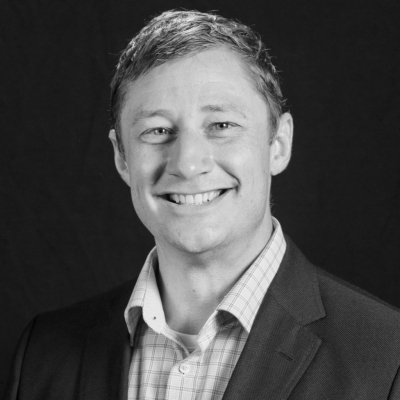 As the author of Peak Performance and former director of the Denver Peak Academy – the largest, nationally recognized government innovation program in the country – he brings his 15 years of government service to each client. The book, Peak Performance, written by Brian Elms and J.B. Wogan, details where the idea of innovation in government all got started. When Denver Mayor Michael Hancock took office in 2011, he inherited an $80 million budget shortfall and a government workforce that had been through multiple rounds of cuts and furloughs. Morale was low. He needed a way to drive greater efficiencies, cost savings and improved performance — and he had to do it in-house, on a shoe-string budget. Peak Performance is the liveliest, most entertaining book about improving public sector performance I’ve ever read. On top of that, it’s full of wisdom you can use in your own organization. You can read it in two hours, and it will help you for years. This is not your typical government efficiency book. Brian pulls back the curtains on one of the country’s premier performance programs to reveal the components that have made it a success. A quick, honest and fun must-read for anyone who lives in a city or works in an organization. Interested in Brian speaking regarding innovation at your upcoming event? Take a look at him in action. Contact him today and let him know how he can help!